Two-thirds of Americans report one or more adverse childhood experiences. Adults who were neglected or abused as children generally experience poorer physical health in later years. A new study, though, finds that those who accept their moment-to-moment thoughts and feelings and live in the present, report superior levels of physical health as adults. The conclusions come from the first ever study to look at the connection between mindfulness, childhood adversity and health. The study, published in the journal Preventive Medicine, surveyed 2,160 adults working in ‘Head Start’, a US government-funded program aimed at supporting low-income families (Whitaker et al., 2014). They were asked whether they had experienced any of eight different types of childhood adversity, including abuse and parental alcoholism or drug addiction. In addition, they were asked about stress-related health conditions, like back pain, headaches or depression. 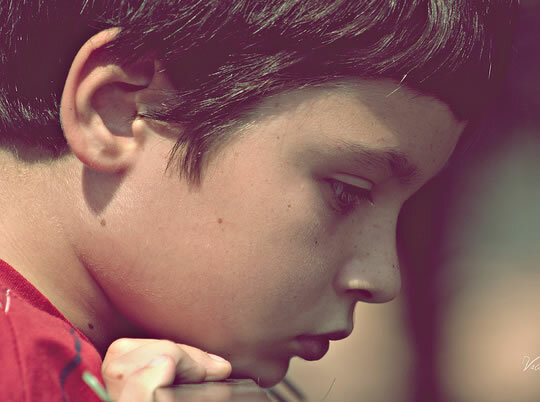 About one-quarter had experienced three or more types of childhood adversity. Almost 30% had three or more stress-related conditions. However, those with the highest levels of mindfulness were considerably more healthy, being 50% less likely to have multiple stress-related health conditions. Even amongst those with the highest levels of childhood adversity, those that accepted their thoughts and feelings and paid attention to what was happening in the moment had the least stress-related conditions. To be clear: the acceptance refers to momentary thoughts and feelings and is directed towards the self; it in no way implies the original trauma was right. “Regardless of the amount of childhood adversity, those who were more mindful also reported significantly better health behaviors, like getting enough sleep, and better functioning, such as having fewer days per month when they felt poorly — either mentally or physically. Our results suggest that mindfulness may provide some resilience against the poor adult health outcomes that often result from childhood trauma. • More on the benefits of mindfulness (including quick meditation instructions), and here are 8 mindfulness exercises which easily fit into your day.